I haven’t been to paradise yet. I have no idea what it will be like if I do. 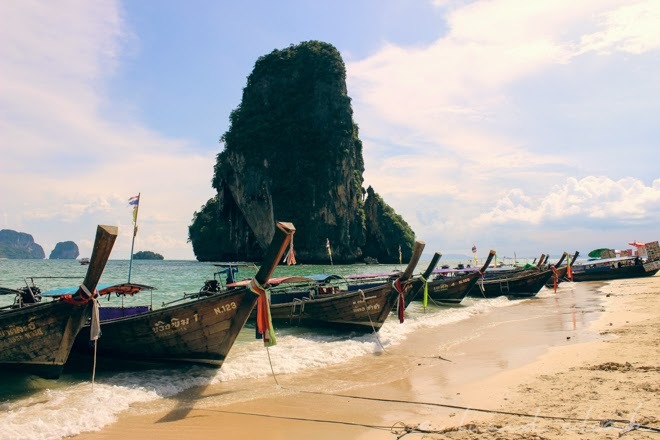 But I do know that the beaches of Southern Thailand are probably the closest thing to paradise I will experience in this life. 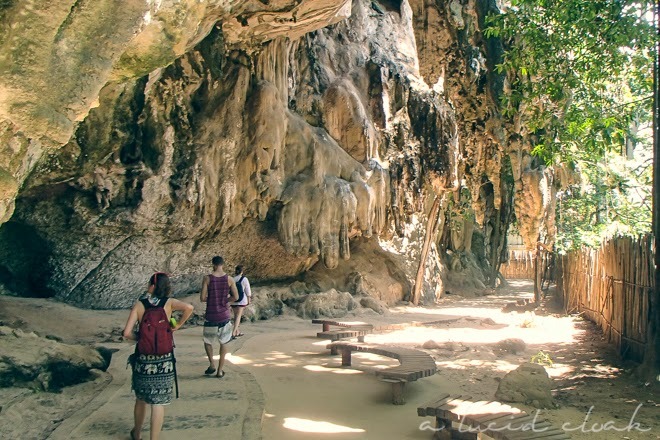 Oftentimes listed as one of the top beaches in the world, most tourists and travellers come to Railay for the incredible rock climbing. Though none of us are climbers, we still had a wonderful time in this little slice of paradise. 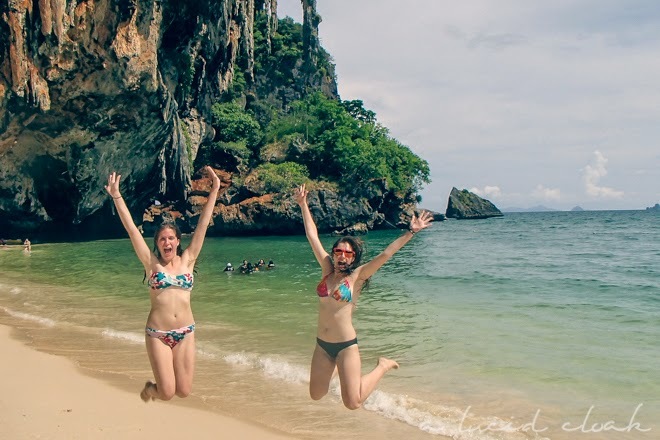 The worst thing about Railay Beach was getting there. 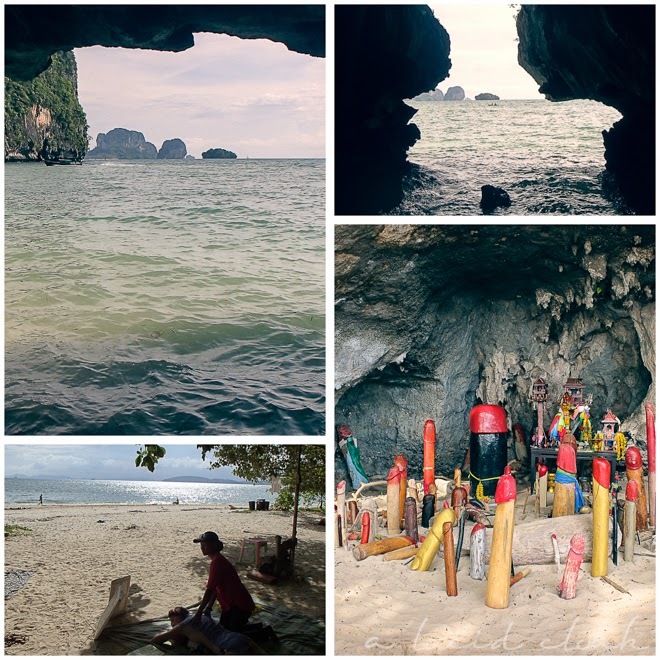 Our flight from Bangkok to Krabi was a short one-hour excursion, but from there we had to take an airport shuttle to Ao Nang Pier, which was about a 45 minute drive (almost as long as the flight!). 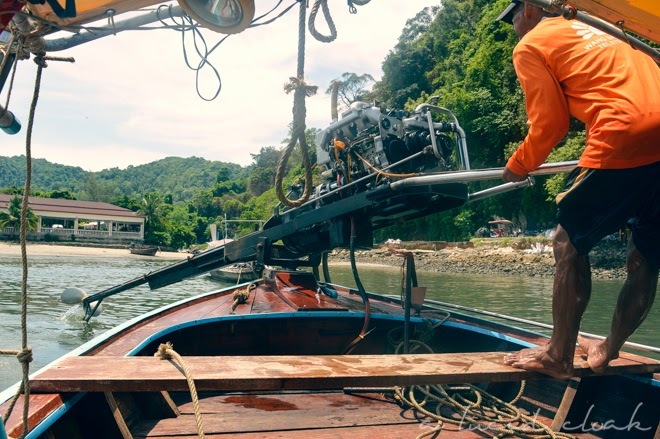 Once we got to the pier, we then had to take a "ferry" that would drop us off on the West Side of the Peninsula… which meant that we would have to walk through a raggedy jungle trail to get to the East Side where our resort was. 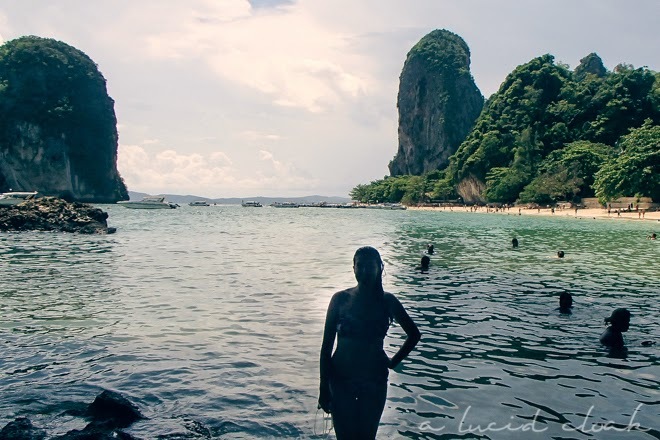 Yes, it’s almost impossible to reach Railay, but it’s oh so worth it. We spent our first day on the beach, swimming and laying in the shade/sun. 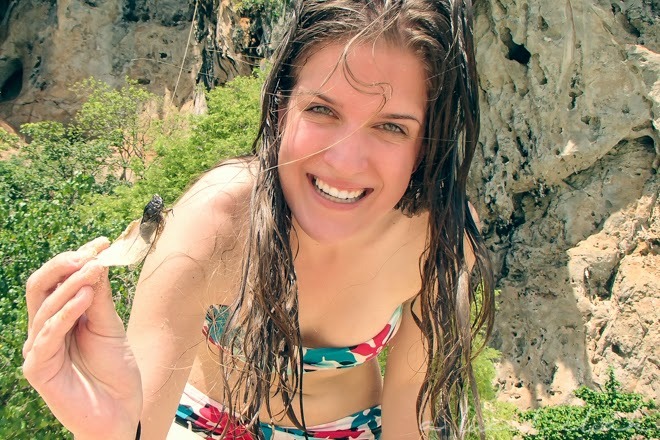 The beach is right beside a huge jutting cliff, and swimming underneath these rocks is a surreal experience. 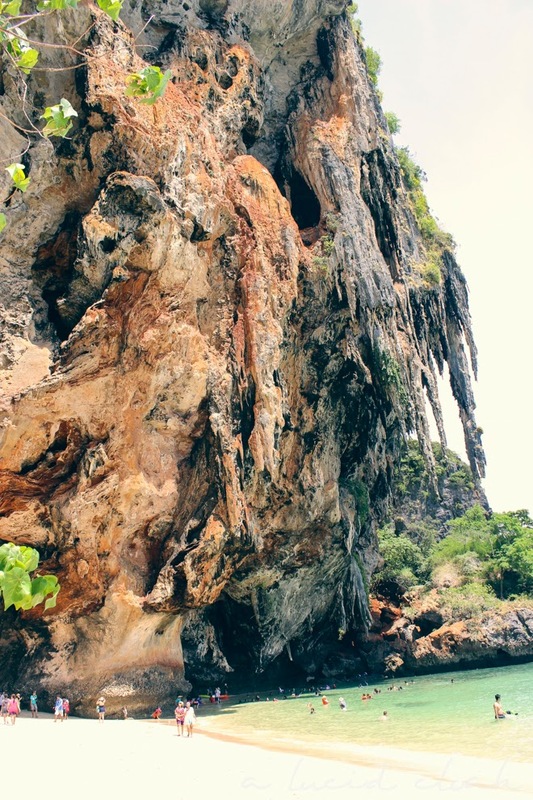 You can even go swim closer to the cliffs and feel like you are in a little grotto. The water is warm and clear, and the sand is a beautiful cream colour. There were quite a few people on the beach, but I found that most of them were Thai or South Asian. If you walk a little farther along the beach, you can still enjoy the beauty, but have an added tranquility and peacefulness as there are barely any people. My favourite part of the beach was the $5 massage I got for 30 minutes. It was, without a doubt, one of the best massages of my life. Laying there looking out onto the bright ocean and listening to the cicadas chirp in the trees was pure nirvana. The perfection of the islands comes at a price though: everything is more expensive. 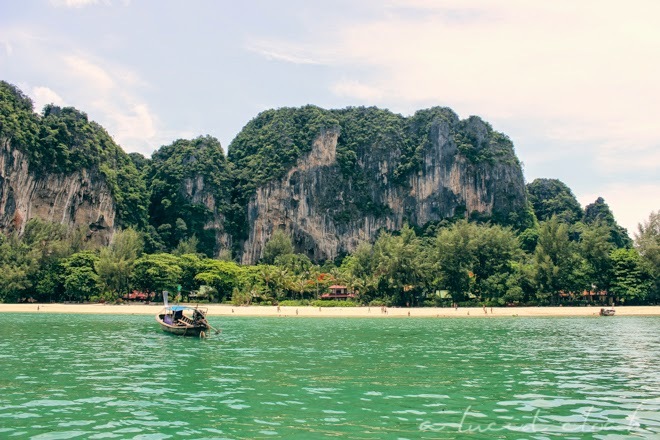 My budget was almost completely blown during the four days we had in Southern Thailand. The rooms, the food, the drinks, the tours, etc, were all higher priced than we had encountered in India and Bangkok. I guess there’s a price you have to pay to experience paradise!